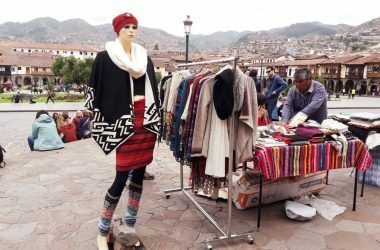 Cusco, like many cities in the country, is characterized by its living cultural heritage, traditions and customs as well as each of its fiestas. In the district of San Sebastián, a fiesta recently declared Cultural Patrimony of the Nation, which rivals on the same date, that of the Virgin of Bethlehem, in the district of Santiago, is still maintained through time. This last festival, is often overshadowed by the coincidence of the festival of San Sebastian, often the its convocation is smaller than that of San Sebastian. People prefer to go to San Sebastián for the staging of more popular musical groups than the less we’ll known ones ones presented in Belén. 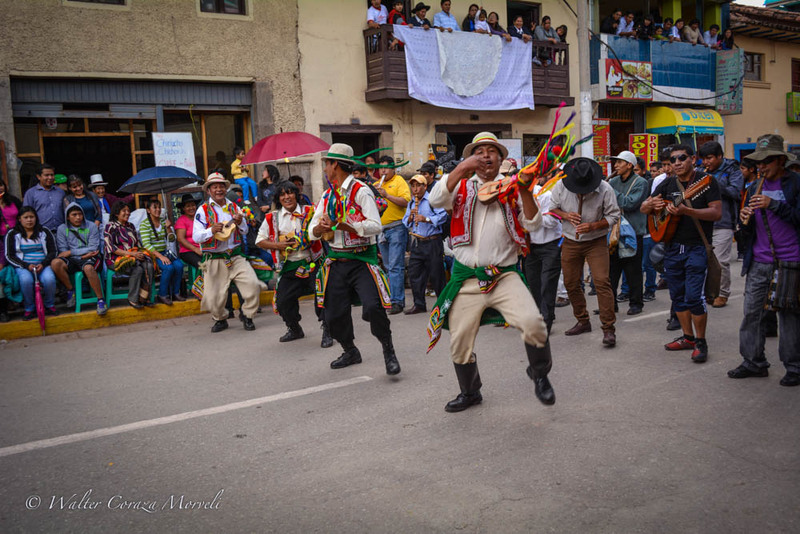 Likewise, San Sebastian has various brotherhoods and dances of the region and is also affected by the presence of altiplanic folklore troupes, which often turn out to be subsidiaries of groups founded in other cities such as Puno, and even internationals such as Bolivia. It is for all of this that the fiesta of San Sebastian, in appearance, is of greater importance as regards to the religious motive of its celebration. In San Sebastian, this fiesta is celebrated in the district of the same name and is always commemorated on January 20 of each year, representing faith and religious devotion with an Andean and European mixture. This celebration is linked to the life of a French military man, the son of wealthy parents. His story tells that Sebastian was beaten cruelly for being Christian. Emperor Maximilian felt that he lacked respect and decided to condemn him to die with arrows. His friends, when seeing him lying on the floor still alive, took him to the home of a Christian woman who cured him and kept him hidden for a certain time. After his long recovery, Sebastian went to reproach the emperor for his action against the Christians. Maximilian, challenged, sends him to be flogged a second time. His body was tossed and abandoned in a place full of mud where a group of Christians decided to rescue the body and buried it in the Via Appia, a catacomb that carries to this day the name of San Sebastian. 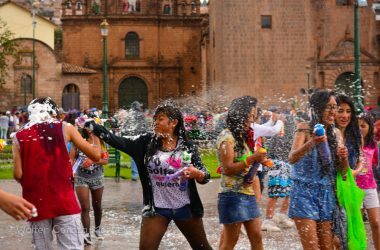 Why is the fiesta of San Sebastian celebrated in Cusco? 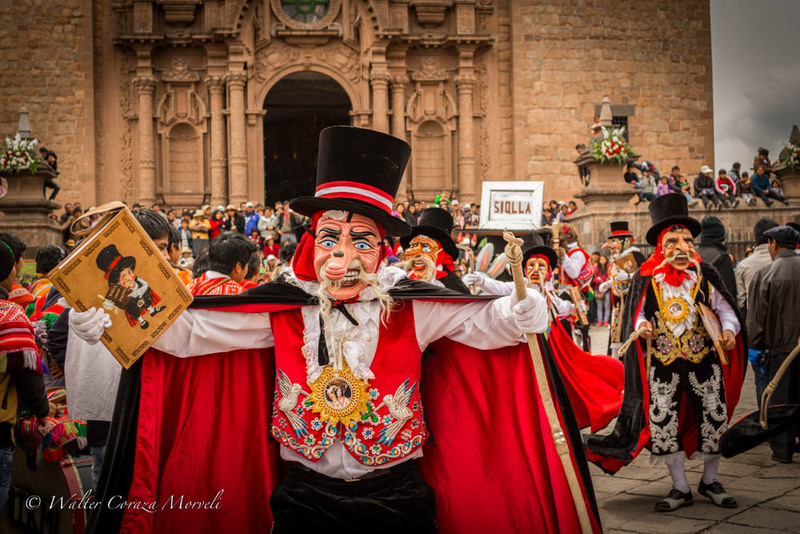 This fiesta is very representative in Cusco, especially in the district of San Sebastian. 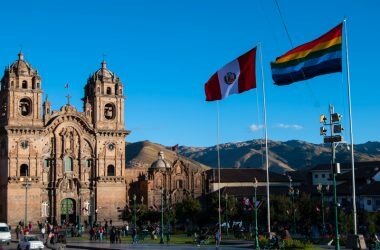 The image arrived in Cusco around the seventeenth century. After the conquest, it quickly became the patron of the people of Cuzco who built the first chapel in 1664. Legend has it that the town was invaded by the plague. This was a main reason for the devotees of San Sebastian to come to his temple with prayers and more prayers. Then there was a miracle and all the plague of the city disappeared. After this response, the villagers began to offer gifts and offerings.to the Saint. The fiesta begins with the entry and launch of the San Sebastian district feast on January 2 of each year, after the New Year celebrations. It commences with the entrance of the various groups at different times according to the order stipulated by their folklore association and organized for this festivity. 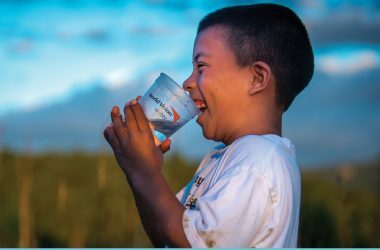 The same happens on the eve, where each comparsa meets in the different houses of charge and whose carguyoq are in charge of directing durong the period that corresponds to them annually. The main day begins with an early mass where national and international tourists (in some cases) must be awake before 6:00 a.m. so as not to miss any detail of this religious tradition. 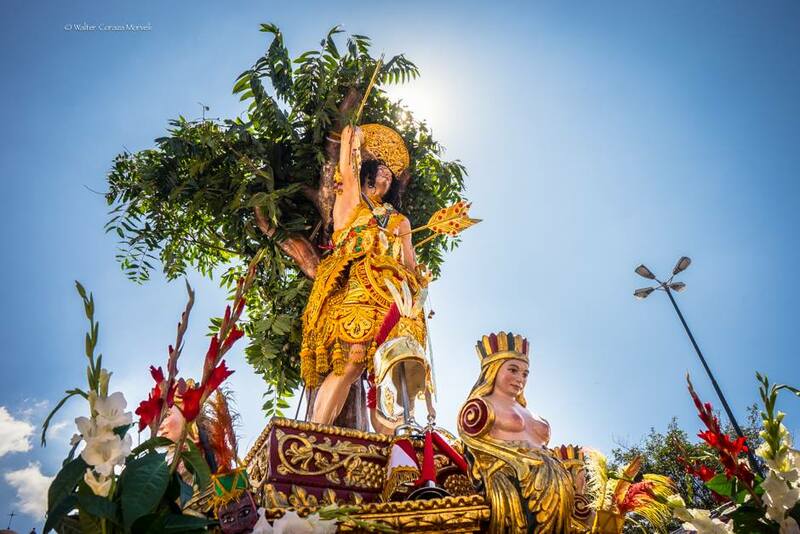 Then, there is a procession with San Sebastián which is walked through the streets of Seville while its most faithful devotees carry it on their shoulders and barefoot for long minutes. The anda is very heavy so you need about 60 men. The San Sebastian custom has assimilated traditions with dances from the region and beyond. Where we can observe them in their central day. Dance troupes accompany the procession, performing dances such as: Contradanza, Mestiza Qoyacha, Chunchachas, Saqra, Majeño, among others. Also, there are Bolivian and altiplanic dances. On January 19 is the feast of the eve of San Sebastian where the inhabitants are responsible for organizing everything with the presence of district authorities. First the “triumphal entry” is performed while the dancers enter with the fraternities and the mayordomos with gifts blessed by the priest of the chapel. The eighth day is the farewell fiesta that is given to San Sebastian, taking place eight days after its central day. Those in charge of making this unique fiesta are the mayordomos who feed collaborators and devout villagers of the patron saint. 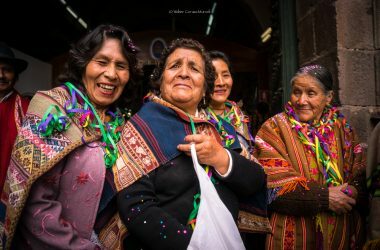 Each Cusco story is incredible thanks to its customs and cultures inherited through time. 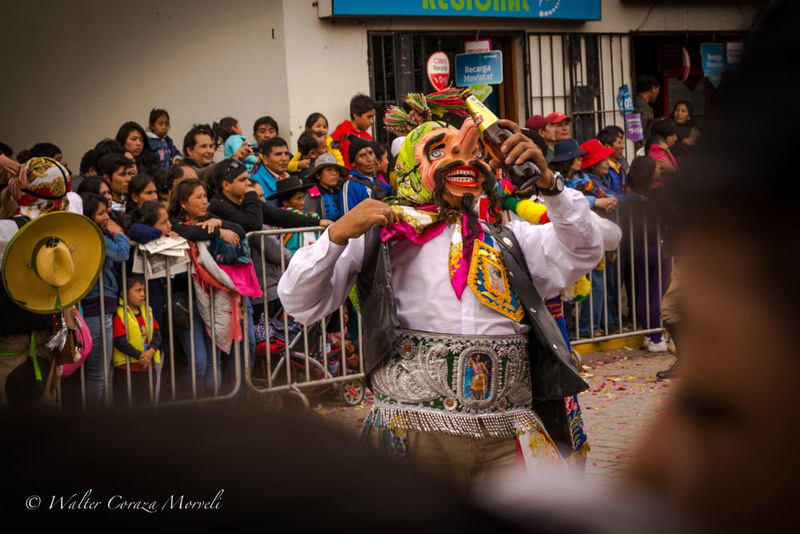 Discover more of Cusco and its festivities, its people wait with open arms to all travelers to share their traditions.